The Soviet Union goalkeeper is conceded as the world all-time best goalkeeper by many. He is the only goal keeper to won ballon d’Or. He won five league titles with Dynamo Moscow and three Soviet Cups as well. Won 1960 European Championship and 1956 Olympic Games gold with Soviet Union. The France man won 3 consecutive ballon d’Or and be the first man to won 3 consecutove best footballer award of the year. He also holding the most 9 goals at European Championship. And he appearing for the only tournament at 1984 and France were won the title. Platini won the league with Saint-Étienne and Juventus also won European Cup with Italian giant Juventus. Winner of 1974 European Championship and 1972’s World Cup. He was also the 3 times European Cup winner with German Giant Bayern Munich. He had scored 365 goals in 427 appearances with Bayern Munich in 15 years. Der Bombe scored 74 goals in European tournament and 64 with his national team. Pele was described as “the man who taught us the way football should be played”. He is known as the Wizard of Dribble. He was the first ballon D’or winner and lifted the FA Cup with Blackpool in 1953. He was the oldest player to represent England and in the English Top football division. 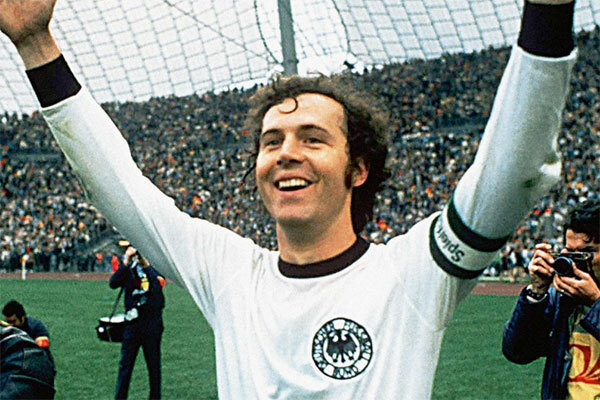 Three world cup played and 103 international match played West German forward Franz Beckenbauer was the 2 time Ballon d’Or winner. He has won 5 Bundesliga title and 3 European Cup.